As conversions of existing homes to be fit for purpose, alterations and additions (A&As) are, by definition, a measure of environmentally-sustainable design (ESD). However, architects and designers working on A&As are not exempt from the same sustainability challenges that are faced with new builds. “Sustainable design is an absolute no-brainer […] and working with an existing house is a good place to start,” Caroline Pidcock, principal at Sydney-based practice Pidcock Architecture + Design, tells A&D. However, not all existing sites are benefitted with ideal orientation or outlook. In these cases, finding creative ways to resolve these issues without relying too much on demolition and subsequent rebuilding is the main goal. A good understanding of the site is a crucial ‘first point’ for any A&A project. How does the home perform? While finding out where sunlight hits living spaces is a relatively easy task, knowing where wind and noise come from requires more digging. This process of unearthing the idiosyncrasies of each home necessitates talking with the clients about their experiences of both house and site. It also requires the observation of neighbouring properties, and what features they may have installed. 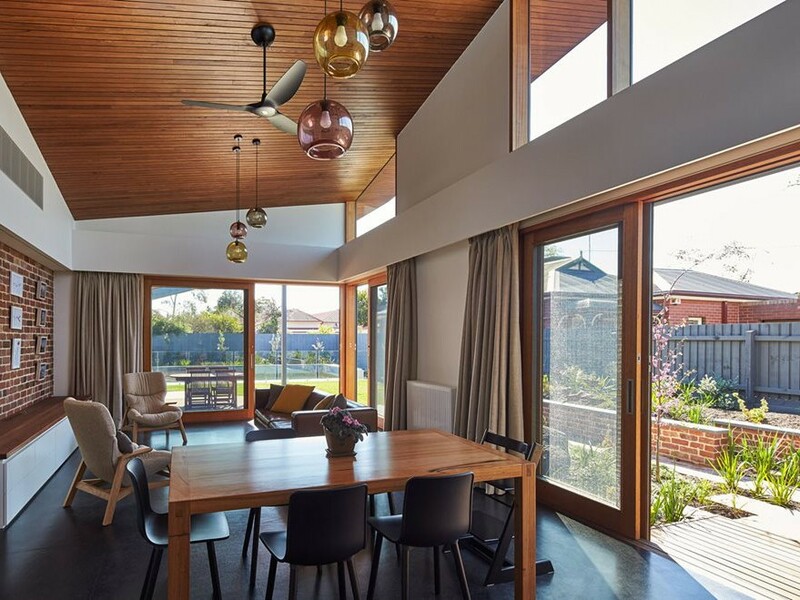 Once architects and designers have become more intimate with the site, they can begin to work out how to bring light into the right areas, and how to connect outdoor spaces to living spaces. Another element that is important to work out early on is how to make the building envelope as efficient as possible. Although these processes are never straightforward, Pidcock says problems can be turned into interesting solutions, if only designers think creatively. Working out how to improve an existing house’s functionality is one thing. Learning how its occupants live and what their expectations are for the newly-renovated home are two completely separate challenges. Pidcock says architects need to engage in a two-way dialogue with their clients. This increases the likelihood that the client’s needs and budget constraints will be on par with the architect’s vision. A major part of this process is educating clients about the benefits of sustainable building, and encouraging them to invest in quality rather than quantity. It also pays to show them any initiatives that are going to make the house more enjoyable, such as good insulation and ‘tight’ windows and doors. “If it’s really, truly sustainable, the home will be more beautiful, comfortable, cheaper to run [and] healthier – it will deliver a non-toxic interior environment,” Pidcok adds. These are qualities that clients can relate to. Another area that designers should educate their clients on, but often fail to, is how to live efficiently within an efficient home. This can be as simple as explaining that, on a hot day, blinds should be pulled down or curtains drawn, and that the home should be opened at night to cool it down. “It’s important for clients to understand how to work with the buildings that they are living in,” Pidcock notes. One of the best ways to identify sustainable products and understand their long-term costs is by a life-cycle assessment – a ‘cradle-to-grave’ analysis of products, from their pre-building phase (production and delivery of the material) to their building (construction and installation) and post-building phases (recycling or reuse). Waste reduction and pollution prevention measures implemented during manufacturing. There are certain certifications within the industry that help specifiers identify the most environmentally-friendly manufacturers, such as the Good Environmental Choice Australia (GECA) and Ecospecifier Global programs. High-recycled content points to a preservation of embodied energy in the product. Materials that have the potential for recycling include glass, plastic, metal, concrete, brick and wood. Use of natural materials, such as wood, which are typically lower in embodied energy and toxicity than man-made materials. Minimal waste during construction, so that the need for landfill space is significantly reduced. For example, prefabricated products will produce zero to little waste during installation. Compare this to concrete pre-mixed with water before being delivered to site. Any excess has to be disposed of in a landfill or on-site; an issue that could easily be resolved if the concrete was mixed on-site. Use of local materials means less pollution produced by longer transport distances. Local materials are also better suited to local climates, and their use provides support to local economies. High energy-efficiency ratings, such as a higher R-value for insulation products; a lower solar heat gain coefficient for windows; and an HVAC system. Low- or no-volatile organic compounds (VOCs). Volatile organic compounds continue to be emitted long after the materials containing them are installed. Adhesives, paints, sealants and cleaners are just some of the products that often contain VOCs.